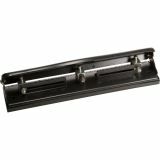 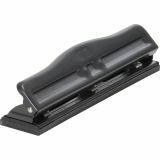 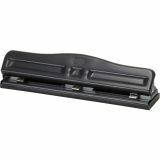 OIC Adjustable Two/Three-Hole Punch - Personal desktop three-hole punch is fully adjustable with calibrated centering device for punching accuracy. 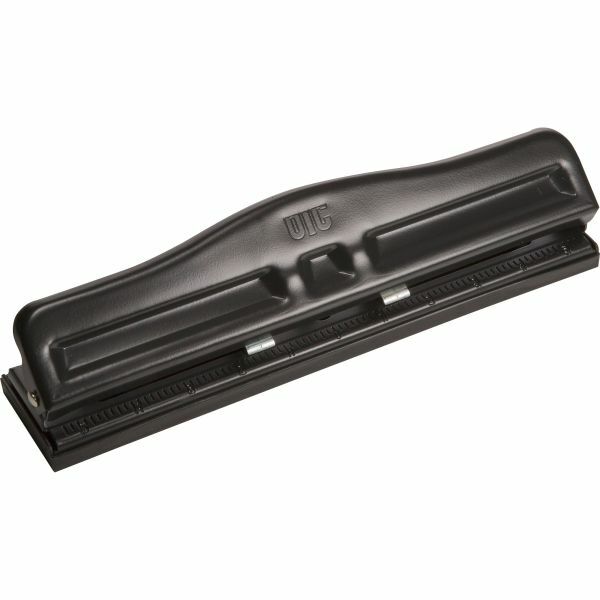 Use to punch 9/32 holes into 11 sheets of 20 lb. 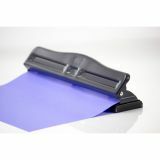 paper in any two-hole or three-hole combination. 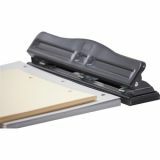 Adjustable, three-hole punch also offers a built-in paper guide and no-mar, removable base/chip catcher.